Are you in College and interested in brushing up vital skills such as building cases, analysing arguments, and speaking in public? Looking for a good engaging discussion on the issues that matter to you? Or simply want the opportunity to get across your ideas? Then join the World Debate Club! 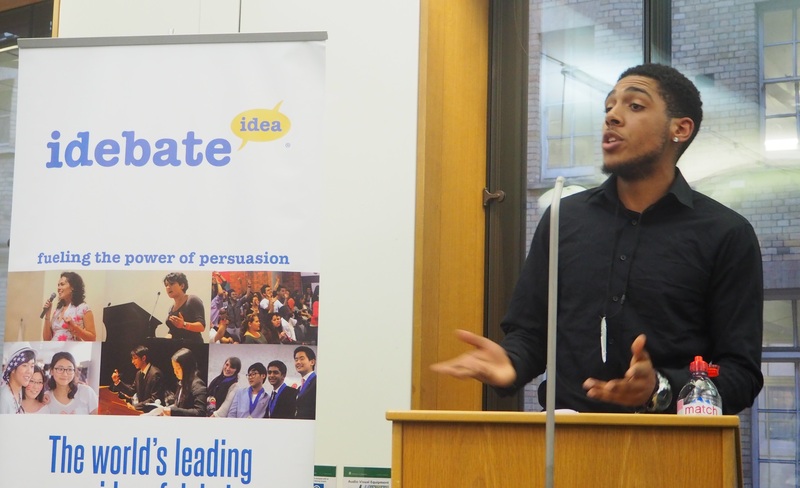 iDebate is expanding the World Debate Club over the next few weeks as we launch in new Colleges in and around London so an ideal opportunity to join. Anyone can debate, all you need is a desire to give your ideas (no such thing as being wrong in the Debate Clubs) and a willingness to challenge others’ views. We will be providing an engaging introduction to debate with a focus on learning by doing. Take part in engaging exercises and various mini debates before you take the plunge into a full debate. Once you are hooked and immersed in Debating then there are opportunities to take part in public debates such as our debate on the 50th Anniversary of the Decriminalisation of Homosexuality in City Hall on November 29th or else test your skills against our other World Debate Clubs by taking part in one of our competitions – the next is early in December. Hammersmith Campus of West London College; Barons Court. Wednesdays 13:30-14:30 from 1st November – also come along for the discussion club in the Common room on Wednesdays from 12:30-13:30. We look forward to seeing you come and get debating! If you want more information about any of these clubs email Duncan Crowe.